I’ve been a part of Bridge to Skate for about four years now. It has been the best experience of my life. Bridge to Skate has done so many things for me. For example, Bridge to Skate took me out of California for the first time in my life. They have also helped me get on track in school, and because of that I am now in AP classes and I’m applying for college scholarships! I am also thankful for Chantelle being a part of my life. She and Bridge To Skate have changed my life in so many ways. I appreciate how she has always been there for us. 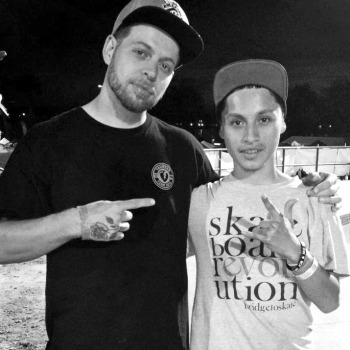 They are the reason why I’m skating and will continue to keep skating. I don’t know what I’d be doing if Chantelle had never entered my life. I am so grateful for knowing an awesome, special and amazing person and am so grateful to be a part of the Bridge to Skate family. Live, Love, Skate! © 2015-2019 Bridge to Skate. All Rights Reserved.